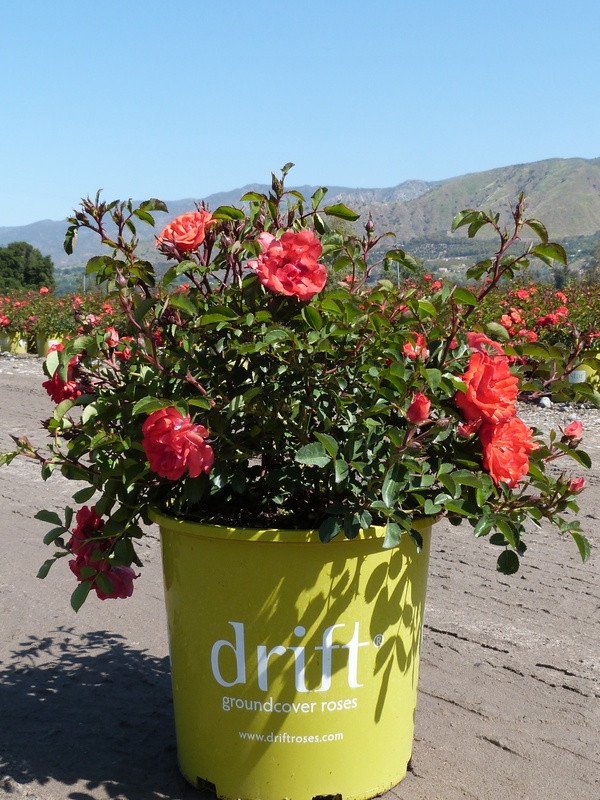 Along with masses of flowers, Drift roses also have sturdy and dependable foliage. Nearly evergreen in warm zones or mild winters, these plants make great foliage plants as well as a blooming groundcover in low maintenance areas. As with all roses, Drift Roses do best when planted in full sun, but can tolerate a bit of afternoon shade. Amend soil to improve drainage, as roses do not tolerate wet feet. Rarely phased by pest or disease issues, these roses are perfect for a busy gardener. As with other roses be sure to apply good cultural practices to avoid any pest or disease problems: Water roses in the early morning hours and avoid wetting the leaves as much as possible. Feed plants seasonally and prune lightly in late winter to maintain plant vigor and size.